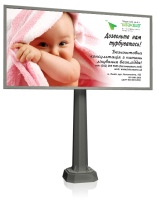 Medical Center "Intersono" - a treatment of all types of infertility. Our mission is – to provide each woman turned to our clinic with high-end quality services. Web site of the medical center "Intersono"
The site of the "donation" to the medical center "Intersono"